Are you looking to shimmy into Spring? Well this year you can with this collection of fringe fashion on all your must-have trends this spring! 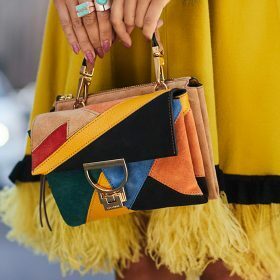 When you think of fringe detailing you might automatically think about the wild west suede or festival fashion however fringes have moved onto high-fashion. And designers have been creative with it. Beautifully designed frilly party dresses are the latest fashion favorite. If you aren't quite ready to invest in a fringe all-over mini skirt why not start with some tassel accessories? This decorative textured accent is a fun and easy way to jazz up your look! You can find your favorite fringe with Fashiola!